Socorro County is a terrific place to explore for a variety of rocks, minerals, and fossils exposed at the surface. Locales such as QUEBRADAS BACK COUNTRY BYWAY, SAN LORENZO CANYON, BOX CANYON, WATER CANYON, and the mountain ranges surrounding MAGDALENA lend themselves to this great sport. 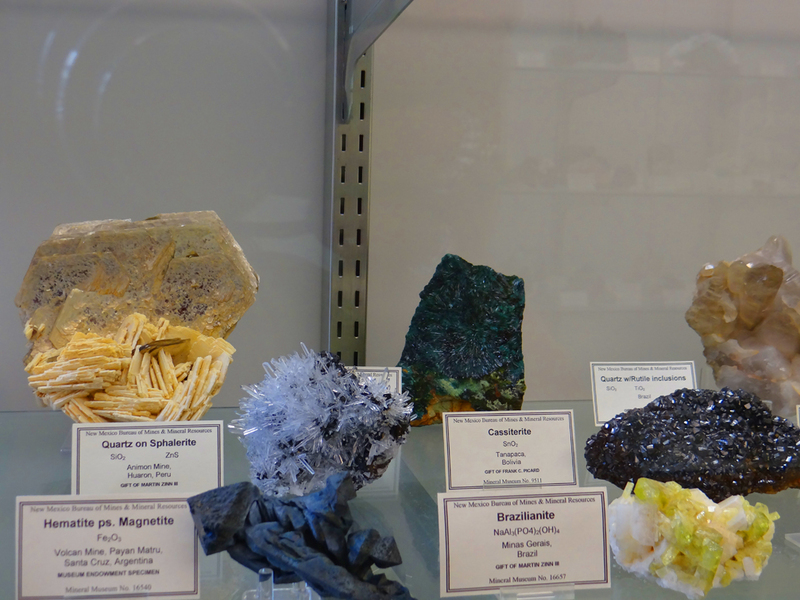 NEW MEXICO TECH is steeped in the mining tradition and is home to the MINERAL MUSEUM. If your are interested in rocks and geology Socorro County is the place to be! Download the New Mexico Bureau of Geology and Mineral Resources Rockhound Guide for more information on rockhounding in New Mexico.